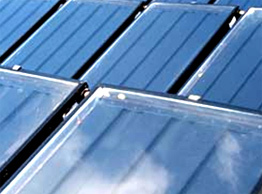 Solar energy is the energy received by the earth from the sun. This energy is in the form of solar radiation, which makes the production of solar electricity possible. Solar energy is vital to support life on earth, it helps to grow our food, light our days, influence weather patterns, provide heat, and can be used to generate solar electricity. Solar electricity relies upon man-made devices such as solar panels or solar cells in order to provide a source of clean, and low cost renewable energy. We have used energy from the sun to provide electricity for many years, in the form of solar cell calculators and other small, low energy consuming devices. As solar energy technologies become more advanced, we are able to exploit the energy we receive from the sun to provide a greater, significant amount of our electricity or even hot water (when using solar hot water panels). The solar energy definition above mentions how energy from the sun is transported to earth through the form of solar radiation. Photons contained in this solar radiation makes the generation of electricity from the suns rays possible. Solar energy is also partly responsible for wind energy, as wind patterns are greatly influenced by the sun. Also, the sun is responsible for heating the ground beneath our feet to a significant degree to support the use of geothermal, ground source heat pumps. Without the existence of solar energy, human life could not be supported on planet earth due to many different factors. 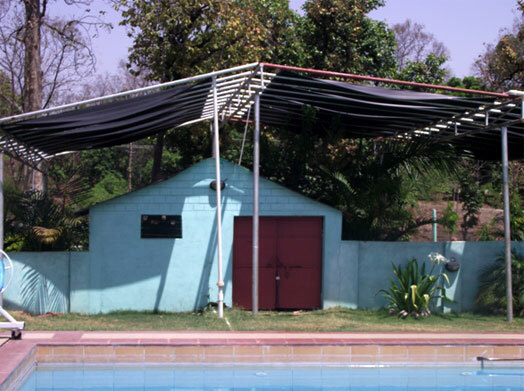 Pujya GURUDEV has used the Solar Panels in his Swimming Pool to heat the water in winter. He is very aware of the environment and has used every method to save our planet. 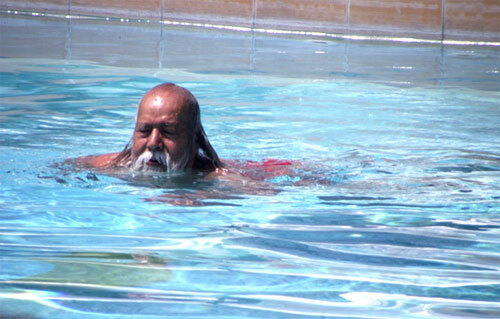 Gurudev has used solar Panels in his Residence and Swimming Pool. Rain Water Harvesting has been done from Vichar Shila to his residence in Mani Dweep where even the water from the kitchen and Bath room is directed towards the plants. He has planted an organic farm to show the villagers how to use the cow dung in a way that vegetables and fruits can be grown in small patches to sustain their day to day needs. Chemicals used as fertilizers are very destructive to our health and can be the cause of a lot of incurable diseases. For example the steroids used in vegetables are the cause of OBESITY which is a problem in many countries and it further leads to more problems. Gurudev has constructed a BIO GAS plant which is environment friendly and only uses the cow dung which after the gas is used can be put in the farm. Gurudev’s gardens are growing beautifully and it has made the entire area colourful, visitors who come to visit him are spell bound with the natural beauty and many of them do not want to leave the place, with its divine serenity and nature in abundance. The use of Wind Turbines can be a great way to provide a source of clean and renewable energy for your home or business. There are a number of small wind energy devices that you can use to generate power and these can be very cost effective in providing a significant level of electricity. 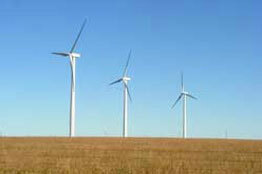 Many people in the UK are investing in wind energy technologies in addition or as an alternative to solar power. Wind energy is also a key ingredient for the United Kingdoms’ future energy growth and the plan to reduce carbon emissions. If you’re concerned about the environment and would like to make a difference then the use of a home wind turbine is a good place to start. Depending on your location you can implement an efficient renewable energy system utilising a combination of both wind and solar power. Solar panels can be more effective than a regular home wind turbine, yet both devices offer a way to generate renewable electricity in a wide variety of locations. You should always consult a renewable energy company that has experience in the design and installation of wind energy systems before going ahead with any development as the wind may not be a viable source of energy in your location and a reputable renewable energy systems company should be able to identify this and provide an alternate means of generating renewable energy suited to your location.